The first French settlers in Mauritius came from nearby Bourbon, now Reunion Island, in the year 1721. The Dutch abandoned Mauritius in 1710 after two unsuccessful attempts to transform it into a prosperous colony. At that time, rivalries among European powers to establish their supremacy in the Indian Ocean were intense. In 1709 the French came to know that the Dutch were to definitely abandon the island when some of their ships called for supplies. The news was diligently relayed to France. On 31 October 1714, Chancellor Louis Phélipeaux, Comte de Ponchartin ordered that Mauritius be annexed in the name of Louis XIV, King of France and on the same occasion be re-named Isle de France (literally: Isle of France). The Chasseur under the command of Captain Guillaume Dufresne d’Arsel reached Mauritius on 27 August 1715. After ascertaining that the island was abandoned, Captain d’Arsel officially took possession of it in the name of King Louis XIV, The Roi Soleil. Monument commemorating the landing of French Captain d'Arsel at Port Louis, Mauritius - (Robert Edward Hart Garden). On 5 April 1722, Denis de Nyon, an engineer specialised in the design and construction of fortified buildings for military use, was nominated as governor of the island by the directors of the Compagnie des Indes - the vassal of the King of France. He arrived with a batch of settlers from Brittany, France. Two days later he was installed as the new governor of Isle de France in the presence of Le Toullec du Rongoult who came with a group of 16 persons from Bourbon on 1 December 1721 to start colonising Mauritius. Le Toullec du Rongoult was nominated as the governor of Isle de France by the governing body of Bourbon - the Conseil Provincial - before the arrival of de Nyon. Controlling Mauritius was a strategic move for the French and Bourbon was an important base from which they colonised the island. A rival maritime power in Isle de France would have constituted a direct threat to their supremacy in the region and to the development of Bourbon where they were growing Arabian coffee trees – a precious crop at that time. The French settlers in Mauritius brought in people from Africa, Madagascar and India to work as artisans, slaves or sailors. These people, along with slaves who fled to the forests during the Dutch's presence in the island, formed the original core population of Mauritius. The newly settled French colonists in Mauritius were basically confronted with the same challenges as the Dutch who attempted to colonise the island. The colonial system relied heavily on slavery for the development of Mauritius and the thriving of its economy. People brought in from Madagascar and Africa to toil in servitude were inhumanely treated by their masters. Many revolted against the colonists and were consequently severely punished or atrociously executed. Others fled to the forests and organised themselves into leading a guerrilla warfare against the French settlers. To counteract the attacks of the fugitives (referred to as esclaves marrons - marooned slaves), French soldiers and colonists led armed expeditions in the forests of Isle de France. Much blood and gore have been shed in these conflicts! To exacerbate the prevailing state of affairs, basic necessities of life were scarce. Severe climatic conditions, huge swarms of locusts and rats destroyed crops. Violent cyclonic gusts blew down thatched habitations; clothes and shoes were barely available as the company shipped essential supplies only sparingly. The French settlers in Mauritius, who were supposed to cultivate the land, frequently fought among themselves. Many among them, far from being skilled farmers, were alcoholics, illiterates and accustomed to a life of violence. Soldiers of the Compagnie Suisse (mercenaries recruited by the French from Switzerland) complained about low wages, indiscipline among officers and assigning them duties not stipulated in their contract of engagement with the Compagnie des Indes. They often balked at orders and mutinied. All people assembled here, whether willingly or through coercion, for the development of Mauritius (Isle de France) suffered much hardship. 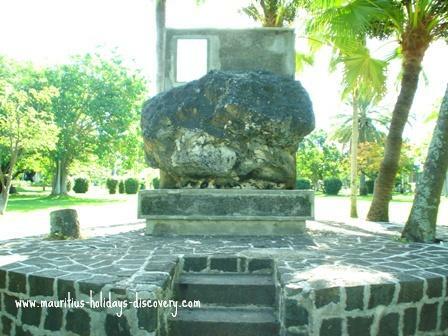 If there were one struggle that was common to all – French settlers in Mauritius, slaves, soldiers and workers alike – it was undoubtedly the fight for survival. By January 1723, barely one year after the first French settlers arrived in Mauritius, the colony was on the verge of famine and its foundations were collapsing. Many colonists and French workers, including Governor De Nyon, engulfed in dispiritedness and despair wanted to return back to France. Lenoir was commander of all French and military establishments in India, President of all the Conseils Supérieurs in those establishments and governor of Pondicherry. To boost up the colonisation of Mauritius he distributed land on specific conditions to the French settlers through a system of “concession”. He also recommended to the Compagnie des Indes that family life should be the foundation of the colony. Following Lenoir’s suggestion, the company encouraged families to migrate from France to the island. Peasant girls were also sent from Brittany, France to marry the numerous bachelors of Isle de France. Several marriages were celebrated and the newly established couples were granted land concessions. These families not only worked hard on their “concessions” to give a new impetus to the economy of the colony, but were also shaping a new type of society. Despite all the good will and efforts put in by the population of Isle de France to consolidate the colony, its foundations and economy were still fragile. In 1729 the island was faced with a famine situation. The French settlers and slaves alike relied on fishing and hunting to survive. Due to the intervention of governor Dumas, who requisitioned the rice cargoes on board of two ships berthed in the port, the population was spared from a possible starvation. Nicolas de Maupin succeeded Dumas as governor of the island. He arrived on 20 April 1729. Being a man of violent character he often matched dissenting colonists and soldiers brutally. The French settlers in Mauritius disliked him and many petitioned his superiors repeatedly to denounce his allegedly authoritarian administration. The directors of the company, however, were very lenient towards Maupin. 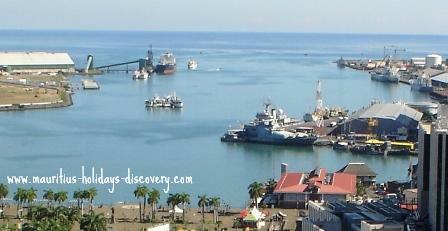 One major decision taken by Maupin which eventually consolidated the development of Isle de France was the choice of Port Louis as the main port and the capital of the island. Formerly, the principal port was Port Bourbon (Grand Port) where the Dutch mainly settled during their colonisation of Mauritius. (The actual Frederik Hendrik Museum is located at the site where the Dutch built a fort as their headquarters). The choice of Port Louis led to increased maritime traffic to Isle de France as manoeuvring in and out the port was much easier. Many sailors were very reluctant to enter Port Bourbon because very often they were either blocked in the port or vigorously pushed towards the coast resulting from the strong south-east trade wind (wind that blows towards the Equator from the southeast) which prevailed most of the year. Maupin left the island in 1735 and by that time many French settlers have already developed a sense of belonging to Isle de France even though the foundations of the colony were still undermined by the risks of famine, frequent cyclones and assaults by runaway slaves. It was Mahé de La Bourdonnais, the succeeding governor, who noticeably consolidated the French settlement in Mauritius, catalysed the island’s development and by the same token changed the course of Mauritius’ history.